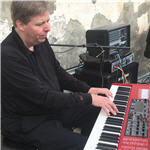 Nord User Forum - View topic - !! NORD WAVE *OS* UPDATE REQUEST 2017 (paid update? Poll) !! Yes, only if it's under $100usd. Yes, I'd pay a bit more than $100usd if my (your) requests incl. Nord Wave 2 or a new studio synth, or Eurorack versions. ResonantMind wrote: Nord Wave 2 or a new studio synth, or Eurorack versions. ResonantMind wrote: I'd pay $250 to get my Wave updated.There's probably 100 Wave owners out there who would. That's $25,000. A little bit better. Are you a software developer? Even that "larger" sum's difficult to take seriously. The economics just don't add up. they should be doing it for free, let alone for any amount of money - I listed a price to hopefully entice them out of their shell. it would only be to their benefit to do this, it's good promotion, it recirculates interest in their products, get people posting videos, more people using Clavia on stage and in the studio, on projects, etc, etc. It would cost more money to have that level of promotion than it would to have a guy code a patch. Last edited by ResonantMind on 20 Nov 2018, 06:20, edited 2 times in total. Soon to be Clavia likely. Last edited by ResonantMind on 20 Nov 2018, 17:04, edited 1 time in total. "All they have to do"
PScooter63 wrote: "All they have to do"
HAD* OKAY, ALL THEY - - HAD - - TO DO. It's pretty much a Wave expanded, minus the .wav. Last edited by Quai34 on 22 Nov 2018, 09:15, edited 1 time in total. The Nord Wave became one of my favourite synthesizer in my set-up. A real sonic cameleon. I also think it will become a classic/collector item in the future. The price drop down a few years ago, i bought mine for CHF 700/700$ there is 3 years ago in almost mint conditions. Actualy, no chance to find one under CHF 1'200.